Mechanical opening flower automaton movement. 24 jewels. 18-karat white gold skeleton petals. Rotation of a diamond briolette (0.24 carat) in both directions. Direct manual automaton triggering via a push-button at 2 o'clock. 18-karat white gold dial with 353 snow-set diamonds, total of 1.38 carats 18-karat white gold applied ring set with 88 diamonds, total of 0.17 carat Small white mother-of-pearl dial under the flower and 18-karat white gold applied ring. 18-karat red gold dial with 353 snow-set diamonds, total of 1.38 carats 18-karat red gold applied ring set with 88 diamonds, total of 0.17 carat Small white mother-of-pearl dial under the flower and 18-karat red gold applied ring. White mother-of-pearl with structure. 18-carat red gold ring with studded motif. Small white mother-of-pearl dial under the flower with 18-carat red gold ring. Opening flower automaton movement. 24 jewels. 18-carat red gold petals hand-engraved and hand-enameled. Briolette diamond (0.24 carat) swivels both ways. Automaton mechanism triggered directly by pressing a push-button at 2 o'clock. 18-carat red gold, guilloché. 18-carat red gold butterfly applique, enameled using the Grand Feu technique, hand-painted and hand-engraved. 18-carat red gold ring and nails. Small white mother-of-pearl dial under the flower with hand-engraved 18-carat red gold ring. Opening flower automaton movement. 24 jewels. 18-carat white gold petals hand-engraved and hand-enameled. Briolette diamond (0.24 carat) swivels both ways. 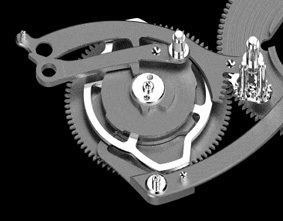 Automaton mechanism triggered directly by pressing a push-button at 2 o'clock. 18-carat white gold, with 227 snow-set diamonds (0.65 carats). 18-carat white gold butterfly applique, set with 54 blue sapphires (0.87 carats). 18-carat white gold ring, set with 82 diamonds (0.82 carats) Small white mother-of-pearl dial under the flower with18-carat white gold ring. The expression of refined femininity enhanced by the astounding automaton and the virtuosity of the Jaquet Droz Ateliers d'Art. The brand known by its twin stars pays homage to women, bestowing the Lady 8 with a breathtaking mechanically driven automaton in the form of a blossoming lotus flower. Whether a mysterious bud or a blooming flower, the animation is much more than a stunning tribute to natural and poetic beauty. One press on the button opens up the lotus flower, revealing a faceted briolette rotating on its axis. The Lady 8 Flower is a mechanical and aesthetic triumph, the execution of which features the design codes iconic to the Jaquet Droz brand. The first ladies’ watch by Jaquet Droz, the Lady 8 instantly distinguished itself in the watchmaking realm on its launch in 2013. 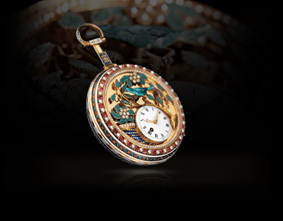 Its sculptural form evokes the figure 8 – the brand’s tutelary number and a symbol of completeness, balance and infinity – and, following the great tradition of naturalism and the inventive animations of Pierre Jaquet-Droz (1721-1790), it was enhanced by a flower automaton that adds refinement and heightens the Lady 8’s power to enchant. The Lady 8 Flower is a continuation of this enchanting history, the mechanical and decorative virtuosity of which have been key to the identity of Jaquet Droz and its ability to astound and amaze since the Age of Enlightenment. The Lady 8 Flower is first and foremost a spectacular scene that dazzles the beholder with its two superimposed dials and its soft lines. 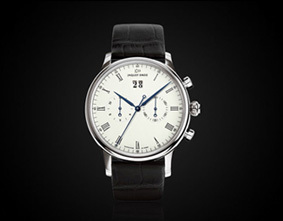 It manifests the most beautiful simplicity in its rounded forms and gently domed lower dial. On recent models, the use of mother-of-pearl for the dial represented a real challenge: this material which enhances the interplay of light is known for its fragility. The highly structured form of the hands and the sunray guilloché effect of the white gold model also embody the distinctive Jaquet Droz aesthetics. 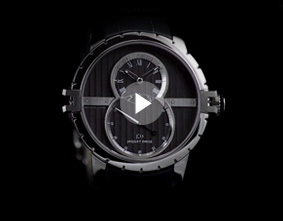 Even these creative heights are surpassed by the spectacular upper dial. The lotus flower symbolizes peace and refinement in Asia, where it is sacred to some cultures. This living flower that opens and closes with the passing days and nights has fascinated poets, painters and botanists since time immemorial. Simply press the push-button at 2 o’clock, and it opens: the six gold petals unfurl to reveal a sapphire, ruby or briolette diamond at their heart, rotating on its axis and illuminating the gold of the petals with its spectacular light. Then, very gently, they close again, the better to guard their secret, inherited from age-old jewelry-making traditions passed down within Jaquet Droz. 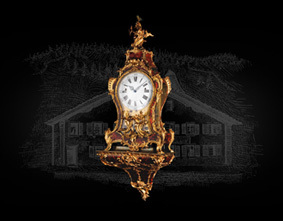 It creates a fascinating effect, just as when Pierre Jaquet-Droz’s first automata were presented to the 18th-century Royal Courts. 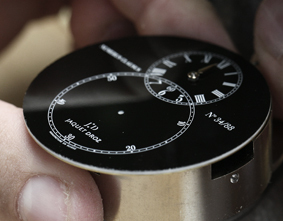 Astoundingly meticulous research and miniaturization were required as two separate movements drive this watch. 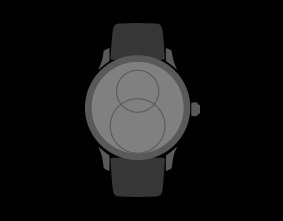 They are visible through the back of the watch, where an oscillating weight, inspired by the captivating and feminine "sun pleat" motif, moves rapidly back and forth. Equipped with a 38-hour power reserve, the Lady 8 Flower is available in four versions in white or red gold, each released as part of set of just 8 or 28 pieces. Limited editions are the ultimate expression of the rarity of true luxury and the unique magic of genuine accomplishment. 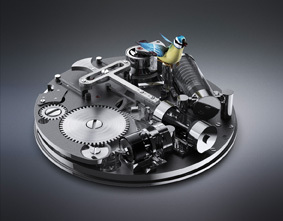 Within the Jaquet Droz Ateliers d’Art, the Lady 8 Flower is also available in two versions featuring a dial adorned with a delicate butterfly, its wings spread: The first boasts painstakingly detailed decoration, with the reliefs of the applique work complimented by the guilloché dial background. The wings are engraved, enameled, then hand-painted to emphasize the depths of the enamel and the details of the miniature paintwork. 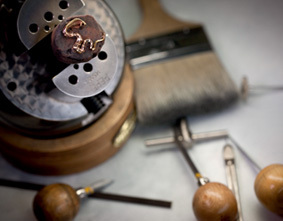 It is the expertise fostered in these Ateliers d’Art which makes the brand so remarkable. A second version dedicated to the jeweler's art is illuminated by a butterfly set with blue sapphires against a backdrop of snow-set diamonds. The upper circle reveals a lotus flower under a sapphire crystal dome. This symbol of serenity and poetry has been created with painstaking care: each petal has been engraved, beveled, polished and satin-finished by hand; on the red gold version, it has also been painted. The fusion of these master crafts creates an elegant interplay of light. The ultimate in luxury decoration, it earns the Lady 8 Flower its place amongst the finest mechanical and artistic masterpieces.